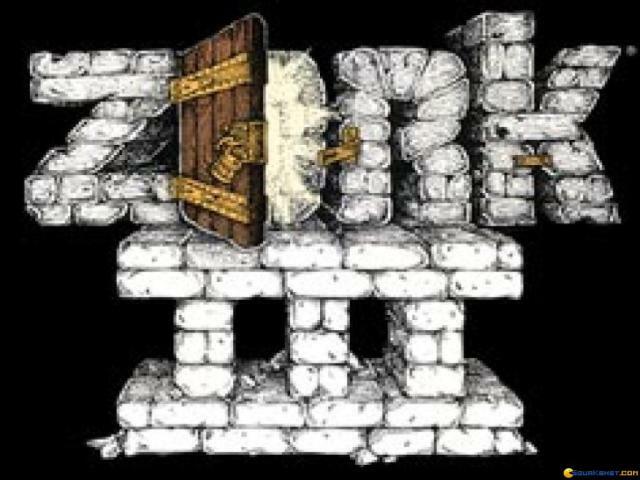 In the Zork cannon, this third title is also the one that finishes the first, initial epopee of the underground empire. 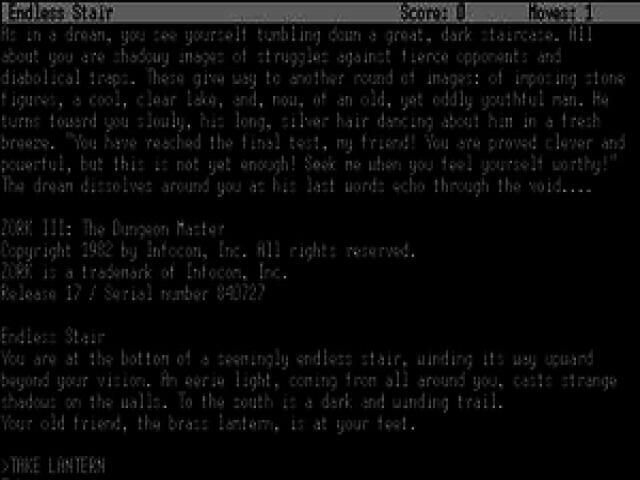 Later games would go on and add visuals and try to expand the game, both storywise and in terms of looking at other facets of the world created as well as in terms of the gameplay. 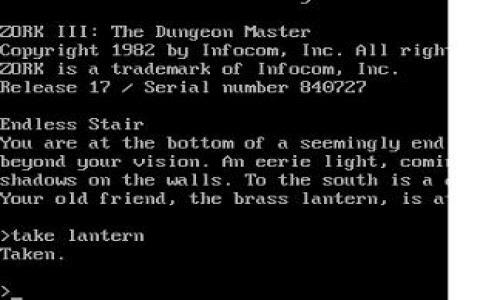 At any rate, if classic text based adventure is what you are looking to play, download Zork, Zork II and this third game here. 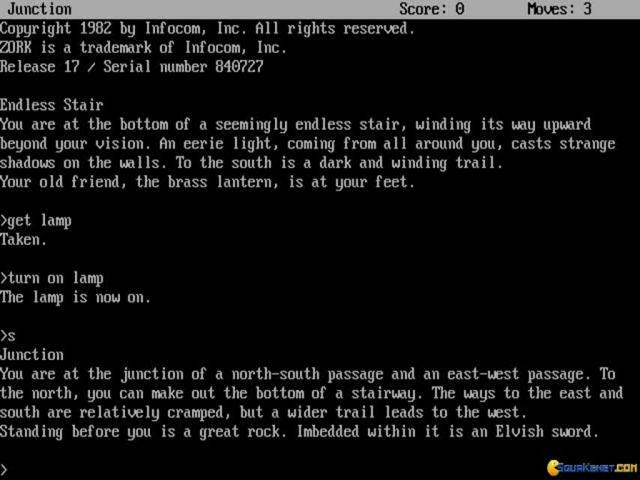 As the entire series has been, this third game too is a very rich, very detailful experience. 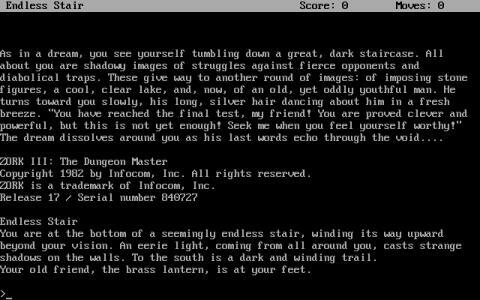 The writing is exceptionally... visual, as it has to be to put you in there. 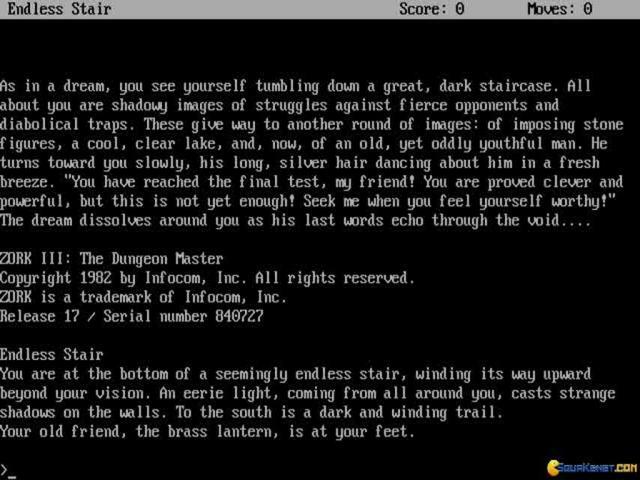 Therefore, after you play it, you'll most certainly not remember it as a collection of interactible text bits, but most certainly, if you have a visual imagination, you'll remember underground corridors, as well as great puzzles. 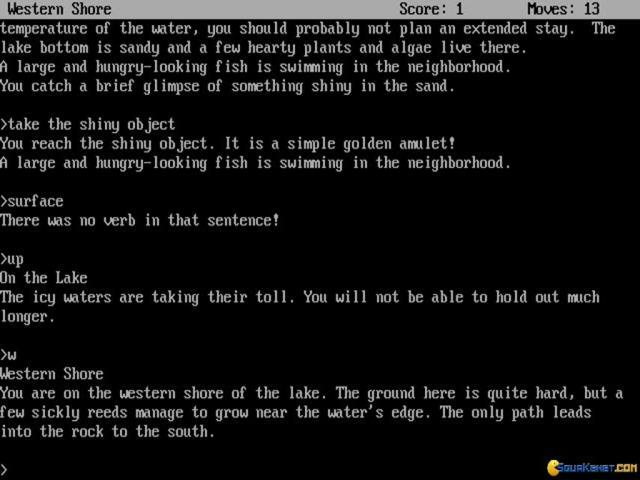 It's not for nothing that this title has remained as the steward of text adventures, it's imaginative, well written, beautifully produced and with meaningful interactive portions.